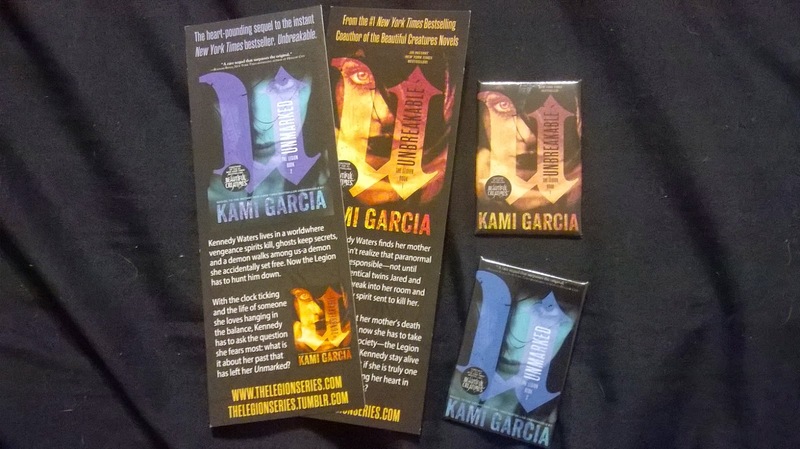 Bittersweet Enchantment: Stacking The Shelves #35 + Meeting Kami Garcia & Giveaway! 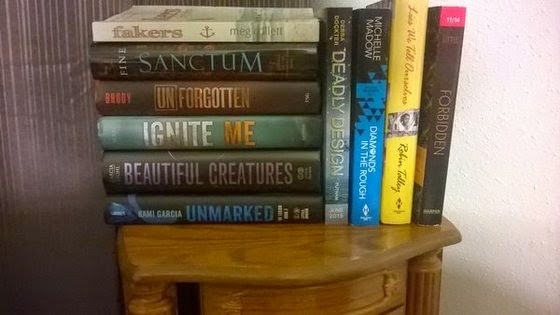 Stacking The Shelves #35 + Meeting Kami Garcia & Giveaway! 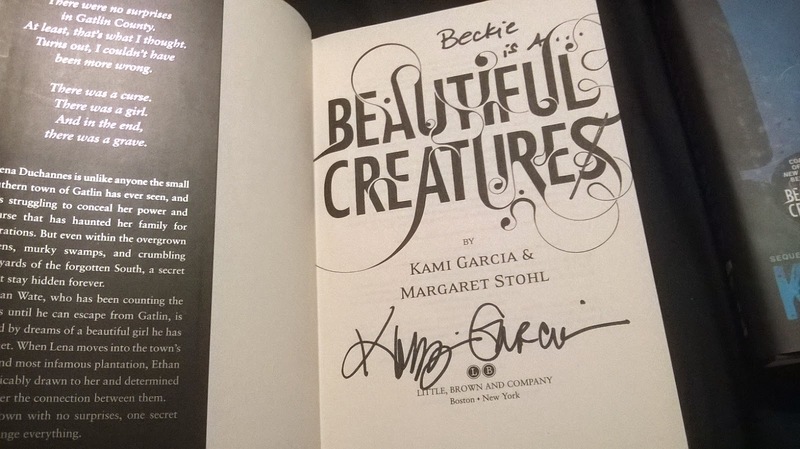 Beautiful Creatures by Kami Garcia & Margaret Stohl - signed @author signing. 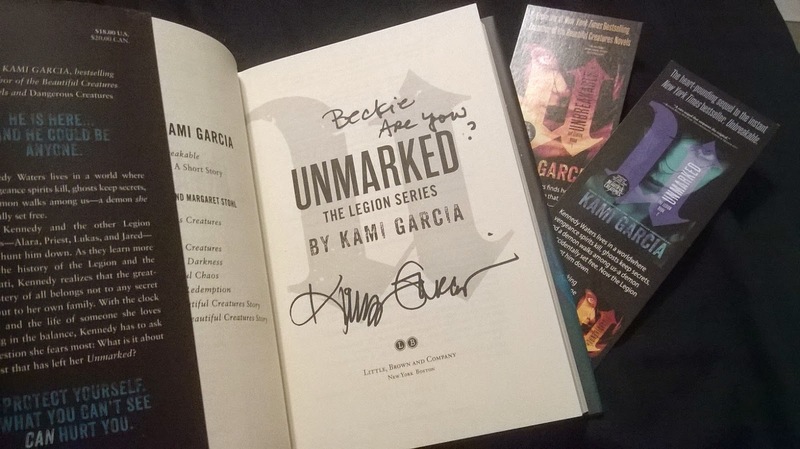 Unmarked by Kami Garcia - signed @author signing. 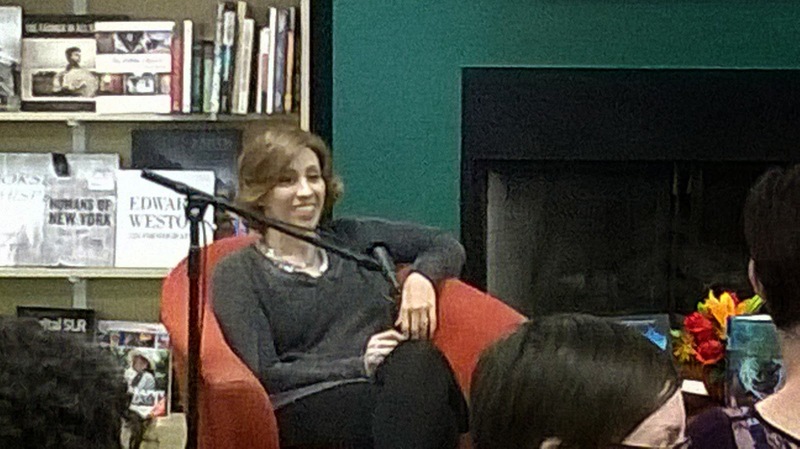 Here are some pictures from the signing. I have a ton more but didn't want to overload this post. Kami was super nice! 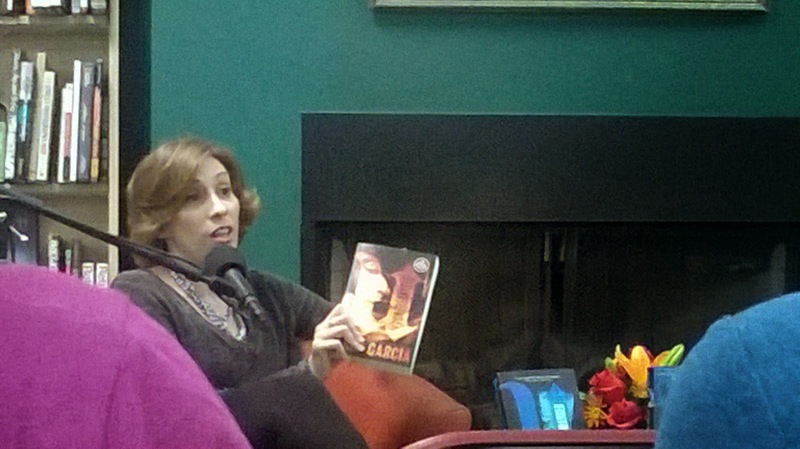 She was signing with author Carrie Ryan. 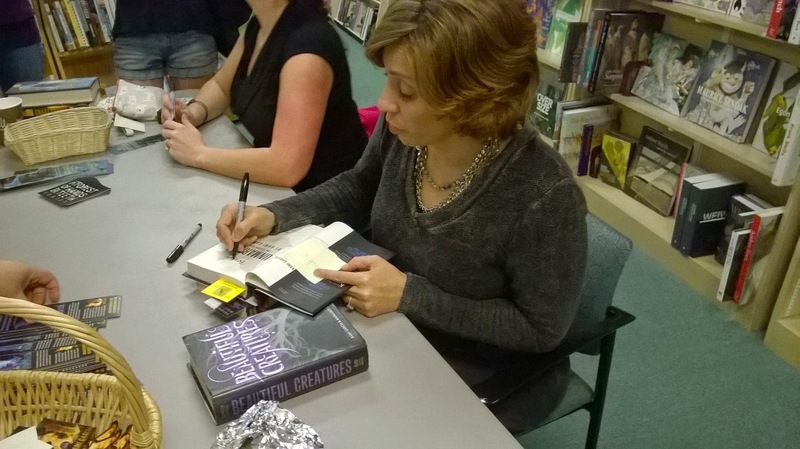 Here's Kami signing my books. 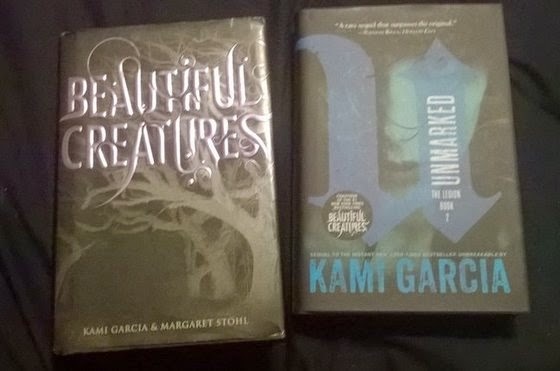 Kami was giving away some awesome swag items and she gave me a few extra for a giveaway on my blog! 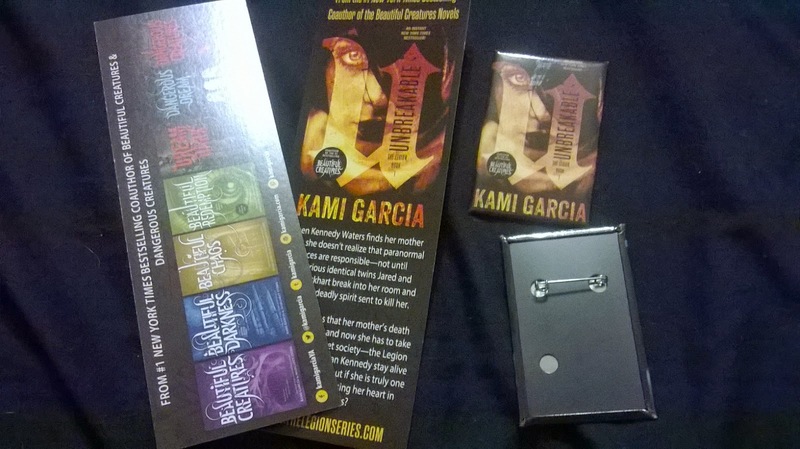 One winner will receive two bookmarks and two buttons. To enter the swag seen above please use the rafflecopter form. Thank you all for stopping by! 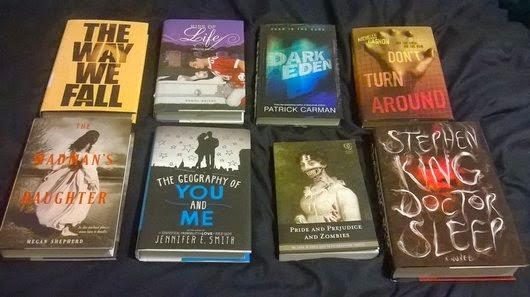 What does everyone think of the books I received? Are there any you're looking forward to reading? I would love to hear what you guys think. 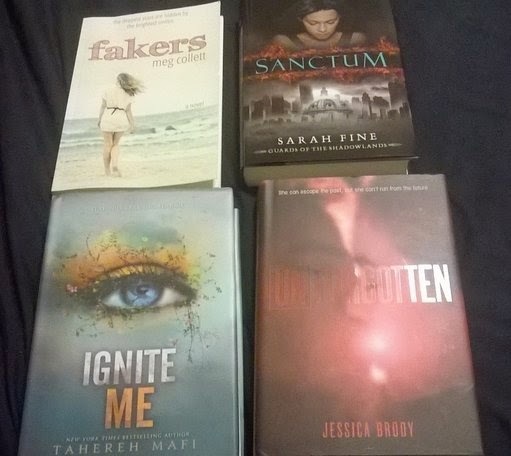 Leave me a comment or/and leave your book haul blog link below. I promise to stop by and check them out. This is so awesome! Enjoy your stuff. Forbidden sounds so good, and I'm jealous of those signed pretties. Happy reading! 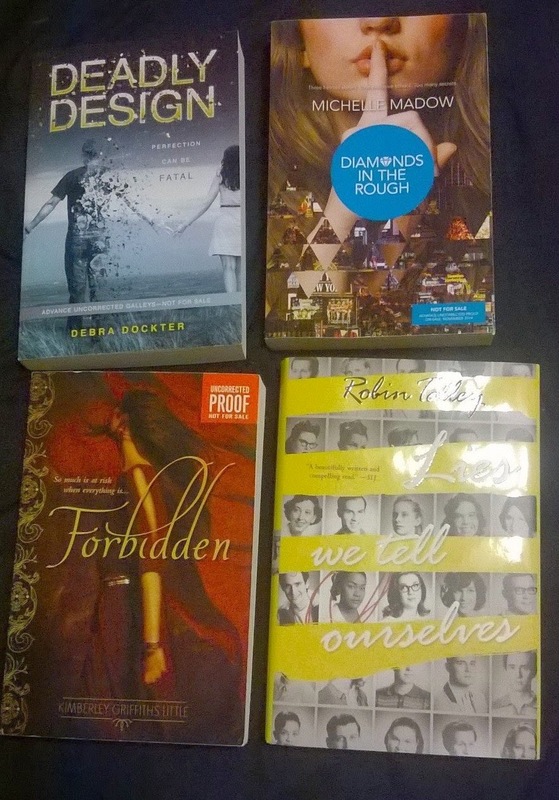 Diamonds in the Rough and Forbidden are on the top of my TBR List. Awesome swag! I haven't had the chance to read Unmarked but I will! Have a great time reading your books!